Do you have black mold on your walls or ceiling? Do you suspect mold behind the walls or in the attic? Have you or a family member been sick for an extended time with no explanation? Call for a professional mold inspection or mold removal. Serving homeowners, real estate agents, property managers, and business owners in Vero Beach. Call us today for an inspection of the property or for mold remediation work. We have expertise in checking your home or business. Mold treatment is part of our remediation process and involves using the proper commercial solutions. Our solutions are more effective than bleach, borax and other home remedies. Many of our solutions are reserved for professional use only. Before there is a mold problem, most homeowners face a water intrusion or leak. We are experienced at water damage removal as well. Call us before mold has a chance to grow. Don’t risk your health. Is it a strange smell, a wet ceiling, damp drywall, odors underneath your sink? These are perfect conditions for mold, and you should contact us right away before the environment becomes dangerous. 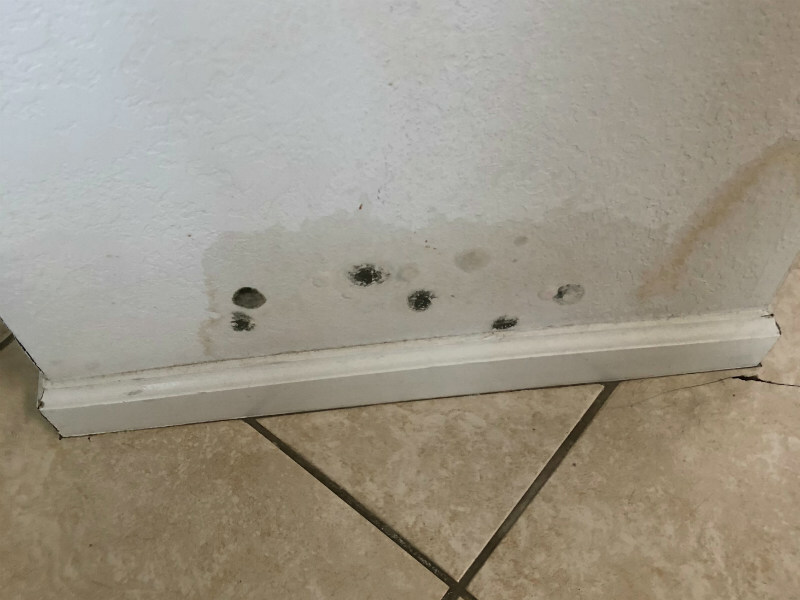 We perform water damage restoration work, but if you already have these signs of mold, you may need our mold removal services. 1. Detection. We conduct a mold inspection and detect areas of moisture on the property. If required we will call in a licensed mold assessor to perform a mold test to identify the type and severity of the mold problem. 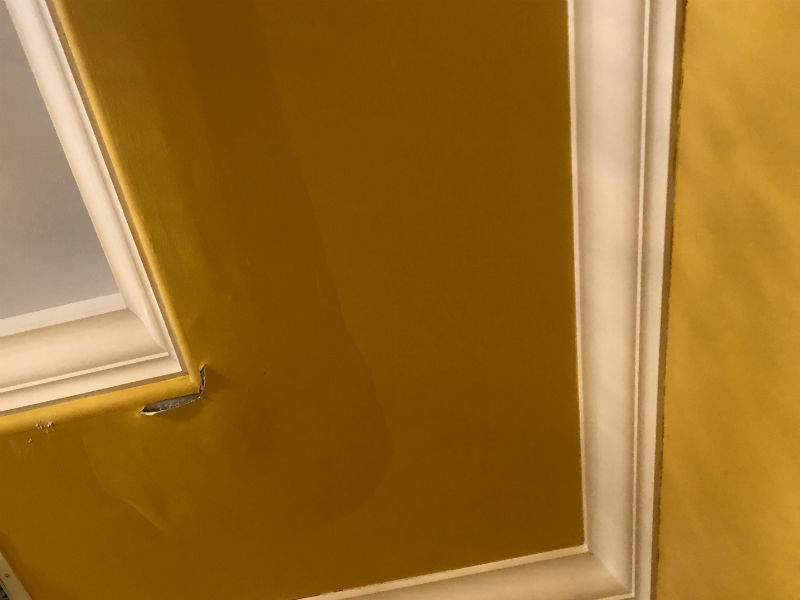 We meet the owner and discuss the findings and we set up a protocol to eliminate the mold growths so that you can return to your home or office with confidence that the property is safe. 2. Containment. If warranted by the inspection and tests, our technicians will set up a containment barrier with negative air pressure to prevent the mold spores from spreading into other parts of the home. 3. Demolition and Removal. Our technicians will remove all materials that have been impacted by the mold. This will likely include all flooring materials like hardwood flooring, carpet and padding, and vinyl flooring. We will remove the moist drywall and/or ceiling materials as well. Insulation may be impacted behind the walls and cabinets may need to be removed. 4. Treatment and Anti-Microbial Application. Our technicians will wipe down the remaining studs with a particular anti-microbial chemical to reduce the chance that the mold will return. We will also wipe down other affected surfaces. 5. Clean Slate. Once the Vero Beach mold is removed, we leave you with a clean slate for the rebuild. We focus on removing mold from residential and commercial properties. We do not reconstruct the area after it has passed the final inspection. If the area is still wet when we are called in, we will also employ the following techniques to dry the property first. We have the right equipment to dry the range of materials and surfaces that are involved in the construction of buildings, whether commercial or residential. By combining dehumidifiers with air movement, air filtration, and heat, our company has developed an incredibly efficient drying system that is suitable for any structure. 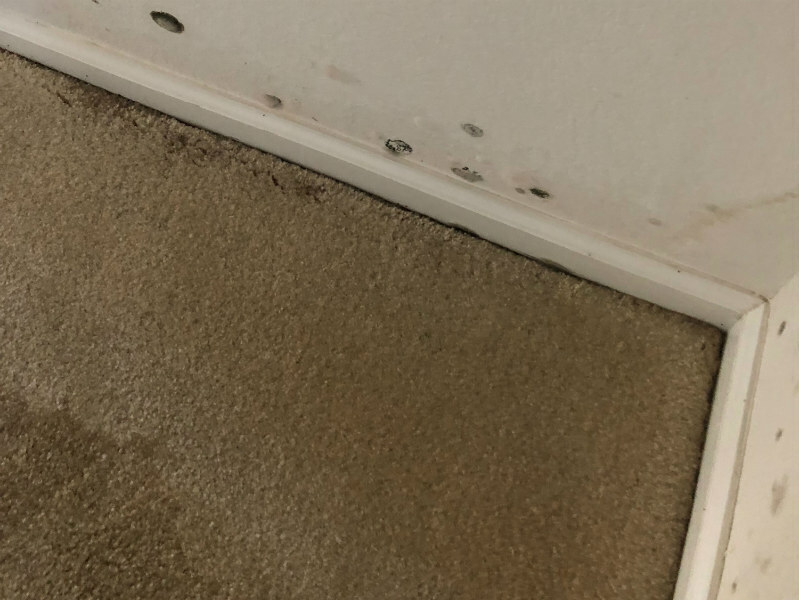 We do not provide simple carpet cleaning, smoke damage or fire damage restoration services but are the premier mold restoration company in St. Lucie County. Evaporating moisture and Dehumidification. Once the bulk of the water has been extracted with pumps, the remaining water, and moisture residues are removed via a dehumidification process. Desiccant dehumidification is an effective technique renowned for its ability to rapidly contain and lower levels of moisture content in buildings. Channeling high volumes of dry air into a building envelope serves to remove any trapped water and moisture. Our dehumidifiers are designed to prevent secondary damage by counterbalancing atmospheric humidity during the entire process of evaporation. Dehumidification eliminates the chances of moisture soaking into structural materials, therefore, speeding up the drying process and discouraging the development of mold. Fast drying will reduce the chance of mold growth and can reduce the extent of mold damage remediation services required later. Dryout services. Here, we rely on a set of equipment designed to raise the evaporation rate more rapidly to restore the building to its original state. 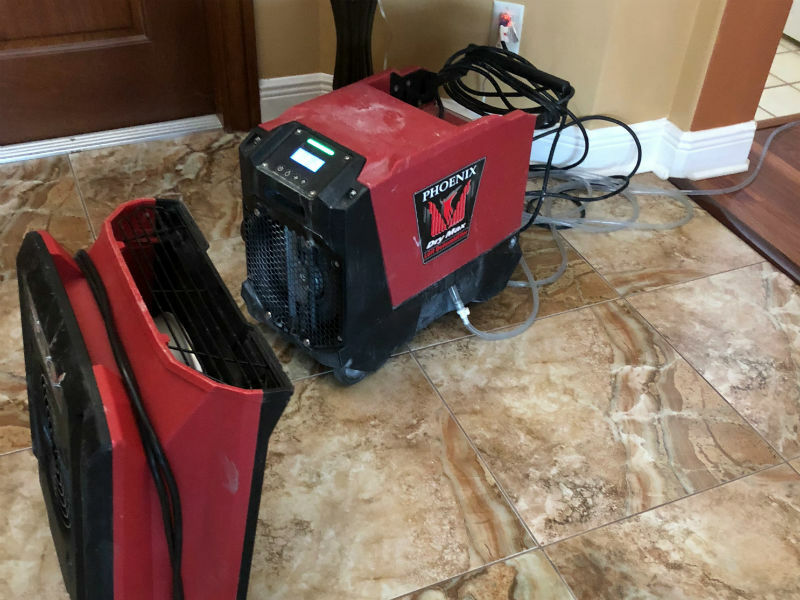 Specialized drying units for wood floors will be used to get the floors back to their original state depending on the magnitude of the damage. This service saves you the trouble of having to sand and refinish the floor. We’re fully aware of what unprecedented damage to your residential or commercial damage can to your emotional and financial well-being. We are swift to respond to clients calls at any time of the day or night to ensure the safety of your property. Our goal is to provide a protective shield around your property to allay any fears about further property damage from water. Moisture detection and dehumidification. Our air movers and dehumidifiers make use of the latest technology to dry materials. We have a wide array of moisture detection devices that are capable of both monitoring the drying process and evaluating the extent of the material damage. As a result, most of our projects, regardless of how wet, boast an average drying time of 3 days. Dehumidification and Drying. The humidifier is at the heart of our structural drying system. Our crew relies on the principles of psychometrics to achieve accurate dehumidification and to achieve an overall efficient drying process. Our team of experts has vast experience in drying buildings to avert future concerns such as the growth of mold. We make use of the most advanced and finely tuned equipment available on the market. Refrigerant dehumidifiers are a mainstay in the industry and can be used as portable air conditioning devices. Periodic Inspection. Once the drying equipment is in place, our team of skilled experts will visit your premises daily to take readings for both the structural and relative humidity. For occupied premises, the relative humidity should be approximately 50 percent. However, water damage can drive up the level of relative humidity as the moisture evaporates. For buildings that are below the IICRC dry standards, we use our moisture detection meters to inform the owner. We will only remove our equipment once the dry criteria have been met. Our remediation specialists make sure that our specialized equipment is placed correctly and that your home or business is treated properly. As a leader in the industry, we are aware that it requires trained and experiences technicians to detect and successfully dry water affected materials. Do not hesitate to contact us for assistance if you are in need of water damage removal, mold inspections or Vero Beach mold remediation services. We love the Vero Beach community. We take pride in helping homeowners with water losses get back to normal as quickly as possible. We can handle wet carpet, wet drywall, wet crown molding, and ceilings. We are the fastest growing locally owned Vero Beach mold remediation company. We service the following communities in Vero Beach: Riomar, South Vero Beach, Gifford, Wabasso, Route 1, Route A1a and Ocean Drive. If you don’t see your area, give us a call. We serve additional communities like Fellsmere, Sebastion, Gifford, Lakewood Park, Florida Ridge, and Vero Beach South. Providing mold remediation in Vero Beach Florida, we are available for mold resulting from leaks, appliance failures, roof damage and more. We also serve Indian River, Sebastion FL. and St. Lucie Florida. We assist homeowners and business owners in recovering from property losses because of water damage. It could be caused by a leaking pipe, roof, refrigerator, or water heater. We’ll come to Indian River and Sebastion FL too. Vero Beach is located along the east seashore of Florida and has about 15,000 citizens in 7500 households. The area is hot and humid in the summer and mostly warm and comfortable in the winter. With an average annual temperature of 72.7 degrees, it is quite nice and pleasant. Vero is comprised of three main beaches called South Beach, Humiston Park and Jaycee Park. As a part of Indian River County you can really get to see some of the classic parts of the county like the Vero Beach Railroad Station. for shopping, you can visit the Vero Beach Outlets on State Road 60 just off I-95. One major part of the Vero economy is the The Disney Resort and Piper Aircraft manufacturing company.